The minor girl had told police that on the night of February, two days after the snowshoe race, Tanveer Hussain had kissed her twice and had groped her. Tanveer Hussain had been arrested in March on charges of sexually abusing a minor girl. New York: A 24-year-old Indian athlete has been indicted in the US on charges of sexually abusing a minor girl, days after he arrived from Kashmir for a snowshoe competition. Tanveer Hussain was indicted last week by an Essex County grand jury for allegedly having inappropriate contact with a 12-year-old Saranac Lake girl earlier this year. Tanveer Hussain had been arrested in March on charges of sexually abusing the minor girl, two days after he competed in the World Snowshoe Championships at Dewey Mountain Recreation Center. "Hussain is alleged to have subjected a 12-year-old female to sexual contact and engaged in inappropriate conversations with said child during the time he was in Saranac Lake," the report quoted Sprague as saying. The report added that Tanveer Hussain had previously denied the charges and declined a plea deal that would have let him return to India as he wanted to clear his name. Tanveer Hussain's lawyer Brian Barrett said that he was disappointed that Sprague announced the indictment in a press release before notifying him. "This is all about the press. That's what this whole case is all about," he said. Tanveer Hussain had garnered much attention before arriving in the US for the snowshoe championship after the US Embassy in New Delhi had denied him and another athlete visas around the same time President Donald Trump had issued an order barring travel into the US from seven Muslim-dominant countries. 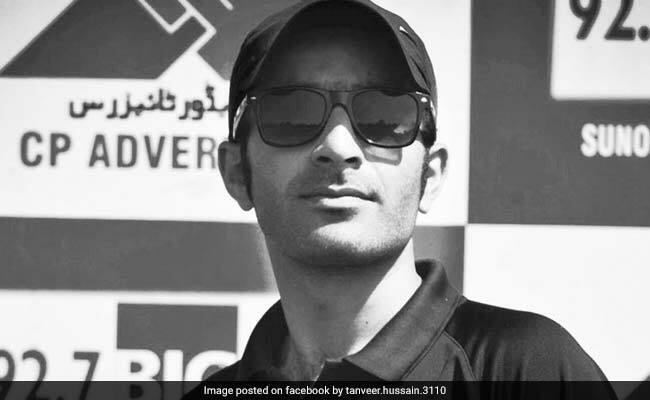 Even though India was not among the seven countries, the denial of visa to Tanveer Hussain and the other athlete was seen associated with the executive order.